Well-known tech billionaire Sean Parker suffers from asthma and allergies so severe that he doesn’t know how many times he’s landed in the emergency room just for accidentally eating something that touched a peanut. He tells TechCrunch that at least 14 of those visits have happened since he’s been with his wife. “Nuts, avocados, shellfish, all of it. I was in the ICU for three weeks of my senior year,” he says. Given that there’s a genetic component to allergic reactions and that he’s the proud father of two, this concerns him. Parker is handing over $24 million of his own cash to fund research at Stanford to find the cure. The endowment will be used to build the Sean N. Parker Center for Allergy Research at Stanford, making this one of the largest private donations to allergy research in the United States. Somewhere between 30 and 40 percent of the global population suffers from one or more allergic conditions. And according to the American Academy of Allergy, Asthma and Immunology, allergy sensitivity rates to one or more common allergens among schoolchildren are currently approaching 40 to 50 percent worldwide. On the recommendation of Sheryl Sandberg, Parker met with Dr. Kari Nadeau, one of the top specialists in the country for allergy treatment. But even Nadeau didn’t have the answers Parker needed. “We know it’s possible to cure allergies on some level but how we do that now, it’s draconian, right?” says Dr. Nadeau. What she means by that is the sad state in which we currently treat allergies. “For people that have allergies and specifically food allergies, 25 percent of them will have a near fatal anaphylaxis at some point in their lives. There’s currently no FDA-approved cure,” she says. Doctors currently try to work on curing allergic reactions using what seems to be a highly risky method. They give patients a little of what they are allergic to and then wait to see if they go into anaphylactic shock. A patient’s immune system is supposed to recognize the substance over time and cease to react. That doesn’t always happen and no one currently knows why. In fact, not much is known about why some people have allergies, why others develop them later in life or why allergic sensitivities are so rapidly on the rise. Parker hopes Dr. Nadeau can find all that out on a molecular level. Parker says to think of what he’s doing as less of a traditional endowment and more like VC funding. “It’s the same process I’d use to invest in a startup. You have to have the right team in the right place at the right time. I’m just taking the VC process and applying it to clinical research,” he says. Immunology is somewhat of a pet topic for Parker. He’ll admit just how much he could go on about his own research into the subject. Parker has also invested in several health-related causes before this. He donated a tidy $20 million toward the support of cancer research and has raised money for charity Malaria No More. E-cigarette startup NJOY raised a giant $1 billion private round of funding from Parker and others last February. 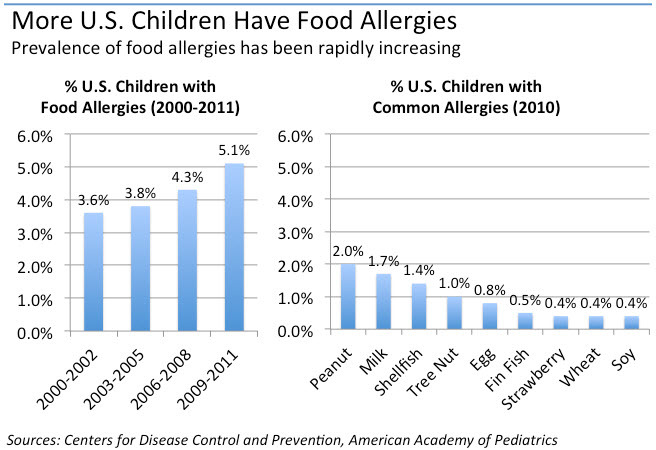 Dr. Nadeau previously led research and clinical trials for food allergies at Stanford. She pioneered a multi-food-allergy therapy that has been shown to safely desensitize food-allergic patients to up to five different allergens at the same time. She’s been able to cure 680 out of 700 patients using these methods in previous clinical trials. Parker noted over the phone that the new Center for Allergy Research would be on an aggressive course with the goal of finding a cure in the next 5-10 years. The plan is to expand beyond the halls of Stanford to take these trials globally at some point.